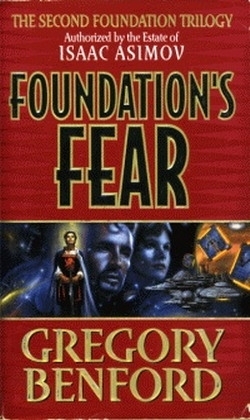 After Asimov's death and at the request of Janet Asimov and the Asimov estate's representative, Ralph Vicinanza approached Gregory Benford, and asked him to write another Foundation story. He eventually agreed, and with Vicinanza and after speaking "to several authors about the project", formed a plan for a trilogy with "two hard SF writers broadly influenced by Asimov and of unchallenged technical ability: Greg Bear and David Brin." 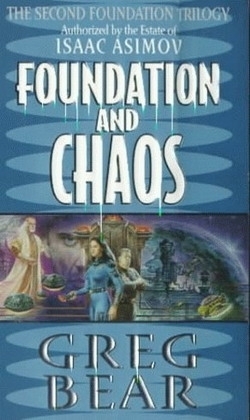 Foundation's Fear takes place chronologically between the first two chapters of Asimov's second prequel novel, Forward the Foundation; Foundation and Chaos is set at the same time as the first chapter of Foundation, filling in background; Foundation's Triumph covers ground following the recording of the holographic messages to the Foundation, and ties together a number of loose ends. 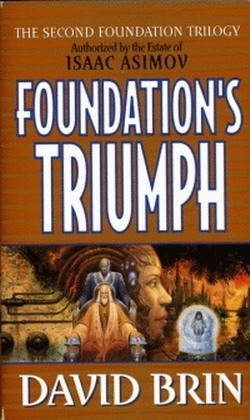 These three books are now known collectively as the Second Foundation Trilogy.